Australia is the home of backpackers and thus a plethora of budget accommodation options are available for those travelling up and down the country. I believe Australia has become one of the most cooperative countries in the world when it comes to cheap and acceptable room options, and with high competition, hostels have had to raise their game in order to catch as many backpackers in their net as possible. After living, travelling and working in Australia, I have come to learn what to look for and what to avoid when it comes to picking your hostel. Here are some of my favourite hostels from top to bottom and then west. Each one has something special or useful about them so enjoy plotting your trip around this amazing country! I love this eco friendly hostel which is perfectly located right in the centre of the CBD (Aussie term for central business district). Dreamtime is more personable and relaxed than some of the other party hostels and you get a real sense of identity with its bright and quirky décor and lush tropical rainforest feel. Dreamtime has a swimming pool, WiFi and weekly BBQ and pizza nights, so it is really easy to meet people and make new travel buddies. Cairns is often referred to as the launch pad to the north and the in-house tour desk is very handy for booking trips to fantastic must-sees like the Great Barrier Reef and The Daintree Rainforest. 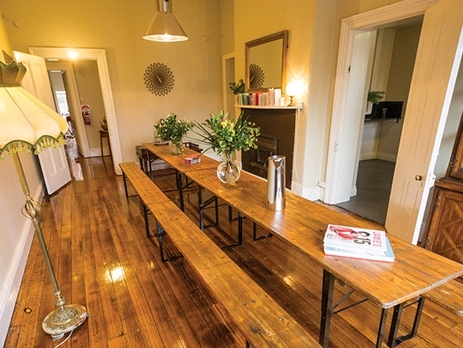 This is one of the cleanest hostels in all of Australia! The beautiful rooms open up onto to a communal balcony which has panoramic views of the ocean above the beach line treetops. 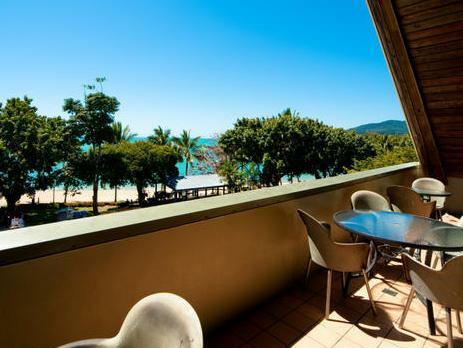 Airlie is known for its party atmosphere and trips out to the Whitsundays Islands. People tend to pass through quickly and rarely stay for more than a few days to witness both. Within easy walking distance of the Cruise Whitsunday and transit terminals, and close enough to the lagoon and main street, this hostel is perfect for a pit stop visit. There is also free Wifi so you have unlimited time and data to upload all your fabulous island photos onto Instagram. This 1880s National Trust and Heritage Queenslander building is one of the most beautiful guesthouses in Australia. 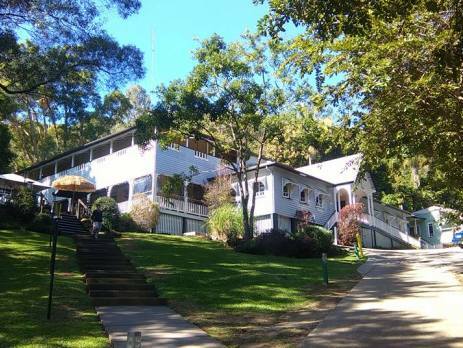 Halse Lodge is located in the heart of this attractive tourist town and within minutes of Main beach, National Park, bus stops and the famous Hastings Street. As part of the YHA chain, Halse Lodge boasts all of the usual facilities that we have come to expect from this company. Rooms are clean and airy, there is a great balcony and outdoor communal space, a lively bar , budget restaurant and really friendly staff who are more than happy to help you book up a trip to Fraser Island or Australia Zoo. With free surfboard and body board hire and table tennis and pool tables available, there is always something to do, even in the rain! This is a really cool urban hostel that sits right next to the main central station in downtown Sydney. You have easy access to all the best bars and restaurants, and hotspots such as Chinatown and the Darling Harbour are very close. Everybody loves this hostel as there seems to always be availability, they have multilingual staff and you can opt to stay in some funky rooms such as the converted train carriage. There is also the opportunity to bring your own alcohol which is becoming increasing unheard of in hostels these days with the rise in number of hostel bars and restaurants. Wifi is good, tour desk helpful, and there is 24 hour access should you be arriving at unsociable hours. Enjoy a spa and swimming pool, handy restaurant and café. Everything you need at your fingertips. Hobart is the place to visit this year with a growing culinary scene including hot new chefs and trendy craft brewers. I recommend the Montacute for the top end of budget accommodation, the communal areas and bedrooms have polished timber floors, the rooms are minimalistic and chic and to coin the Danish phrase, the overall feel is very Hygge. Enjoy 100% Tasmanian merino wool blankets, Australian- made timber bunks and incredibly fast Wifi. The Montacute won Best Hostel in Tasmania in 2016 and it certainly deserved it. Being centrally located in Hobart’s village of Battery Point, you are a few minutes walk for all the cafes, pubs, restaurants and the Salamanca waterfront. All this and it’s just a ‘hostel’ ??? Spoil yourself for a night or two by upping your budget by only $5-$10. This is a boutique hostel, and by that I mean small and quiet and with a maximum guest stay of about 28. For this reason it is very personable, fun and almost feels like a friendly B&B with new owner Seb welcoming you. There are some really fun rooms including the Betty Boo Bus which, as you’ve guessed it, is a converted American style bus. There is also the Alpine Hut made completely of timber, in fact the entire hostel is eccentrically decorated and there is a great area to relax in around the pool. Alice’s is 5 minutes from town, there is Wifi, TV lounge, BBQ area and laundry facilities. Seb and his team are also available to help get you the best deal on trips to Uluru. All in all, a nice little hostel off the beaten track. 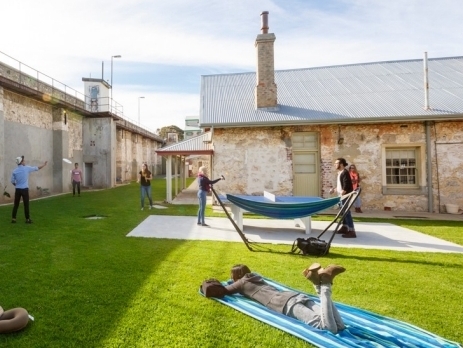 This is an incredibly unique hostel in the sense that it was a World Heritage listed prison. If brave enough, you can opt to say in one of the original cell blocks or in one of the perfectly preserved Victorian guard’s cottages. Alternatively there is new purpose built accommodation. The hostel is 10 minutes walk from Fremantle train station and it takes about half an hour to get into Perth. If you’re really strapped for cash, enjoy FREE pancake Sundays, Monday’s FREE movie night and popcorn, and a FREE wine and cheese evening every week. If you’re feeling flash they offer a Saturday sausage sizzle for $2 or a hamburger for $3. What’s not to love? So what can we conclude from this? The YHA is certainly doing something right, and if you are looking for unique places to stay then they are definitely out there. Most good hostels know the importance of modern cleanliness, good WiFi access and low budget food and activities. If you would like to make a list of your own then join one of our work and travel programmes either based in Sydney or Outback Australia. Volunteer in conservation and chose from a number of gateway cities to launch from and test out the hostels on your way!